All other animals (including emotional support animals) must be kept in a kennel/cage in all areas of the Airport. Click HERE for the Airport code 2.560 – Airport Terminal Animal Provisions. Click HERE for City of Redmond Service Animals for People with Disabilities police, GEN100. The City of Redmond does not discriminate against qualified individuals with disabilities on the basis of disability in the City’s services, programs, activities or employment practices and strives to make all of our programs and services available to every Redmond citizen. Reference documents on this site include notices, newsletters, grievance procedures, curb ramp request forms, request for accommodations and a general informational brochure. The Americans with Disabilities Act (ADA) provides guidelines to comply with accessible program, service and building construction, but we always need to hear from our citizens to direct resources where they are most needed. The City of Redmond encourages all citizens to participate in its programs and activities. Meeting locations are accessible to people with disabilities. Requests for accommodation may include sign language interpreter service, assistive listening devices, materials in an alternate format or any other accommodation. 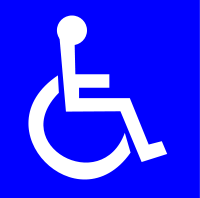 If any accommodations are needed, please contact the ADA Coordinator at 541-504-3036 or access@ci.redmond.or.us. Requests should be made as soon as possible, but at least 3 business days prior to the scheduled meeting.